Dopyaz - the word itself is self explanatory meaning double fried onions. This is an exquisite dish from the northern parts of India. Hope all will enjoy the bouquet of the okra. 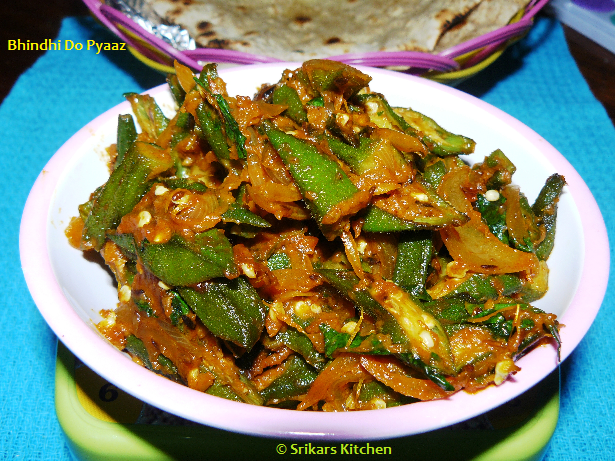 Heat oil in a pan, add chopped okra & fry until half done & keep it aside. Heat oil in a pan, add cumin seed,onion & saute few mins & make it cool & grind to a fine pate. Heat oil in a pan, add cumin seed, onion & saute. Add red chilli powder, turmeric powder & mix well. Add ground onion paste & mix well. Add tomato puree, salt & mix well. Add half cooked okra & mix well. Cook it slowly until bhindi is done. sounds like a really rich dish.thx for consistently posting your comments in my blog sripriya. really appreciate it. I love, love, love okra, and this recipe looks really delicious. Thanks for posting it! Hi Sri, have never tried this. sounds interesting. PS: In answer to you question - I don't live in London now - I'm in Telford, Shropshire. A shame or we could have met up and talked FOOD!! It looks oh soooo good! I can imagine it taking the center stage in a steamed rice dish. YUM!!!! Thank you Sripriya forconcern about my health,this recipe looks rich and delicious. Thanks for sharing. Awesome recipe dear, very nice looks delicious!! !Thanxxx for sharing!!! Okra always gets my attention, looks awesome! looks delicious and i do love okra! i can already smell the spices cookig. 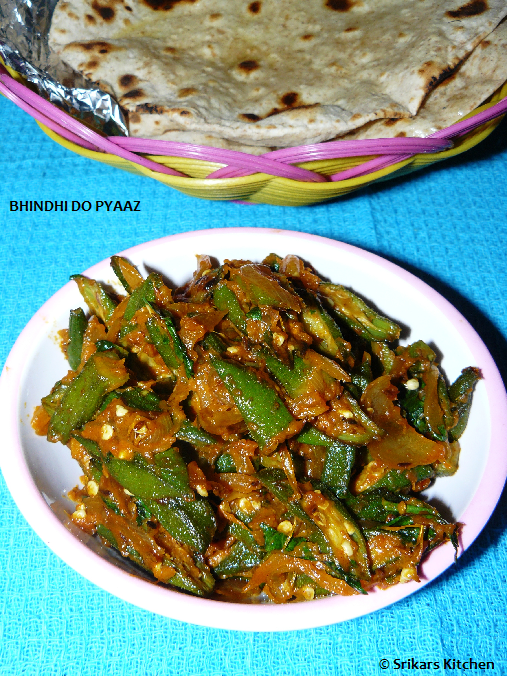 Love bhindi in almost all forms. This curry looks delicious, Srividya!